Colombia is preparing itself for extreme levels of rainfall due to weather phenomenon La Niña following months of extreme drought caused by El Niño. Both El Niño and La Niña are caused by water flows in the Pacific ocean that in the case of El Niño in Colombia causes drought and in the case of El Niña causes extreme rainfall. “At the moment the models show that we have less dispersion, which increases the probability of ‘La Niña’ from 60-70% to 76%. This situation would have a consolidation on the last quarter of this year, with strong and abundant rain,” according to Colombia’s meteorology institute. So far in the first season of rains that began in early April, there have been “306 events, including landslides, windstorms, flash floods, torrential floods, avalanches and hailstorms”, according to the National System for Disaster Risk Management. 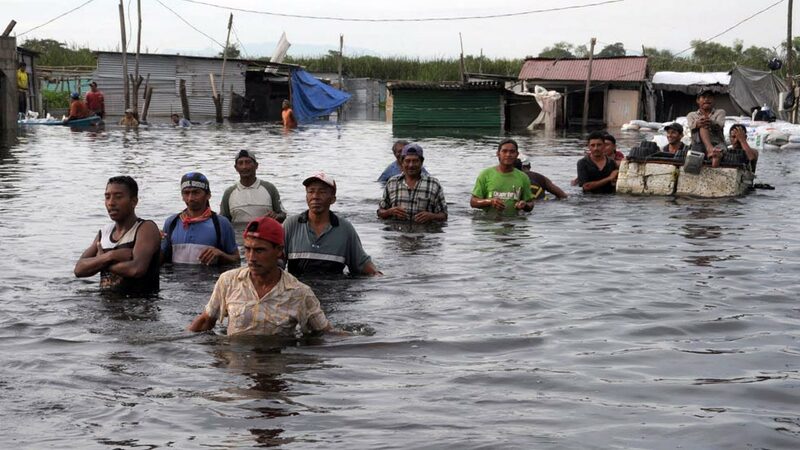 According to the report, the departments of Meta, Choco, Cordoba, Risaralda and Arauca were worst hit with about 4,000 families affected. The report also notes that the Government has invested approximately $200,000 (600 million pesos) in emergency humanitarian care such as mattresses, blankets and hygiene kits for 2,249 families. Without any real certainty regarding the effects of La Niña, based on projections, Colombia’s government appears to be preparing for the worst in order to prevent further displacement among the country’s most vulnerable populations.